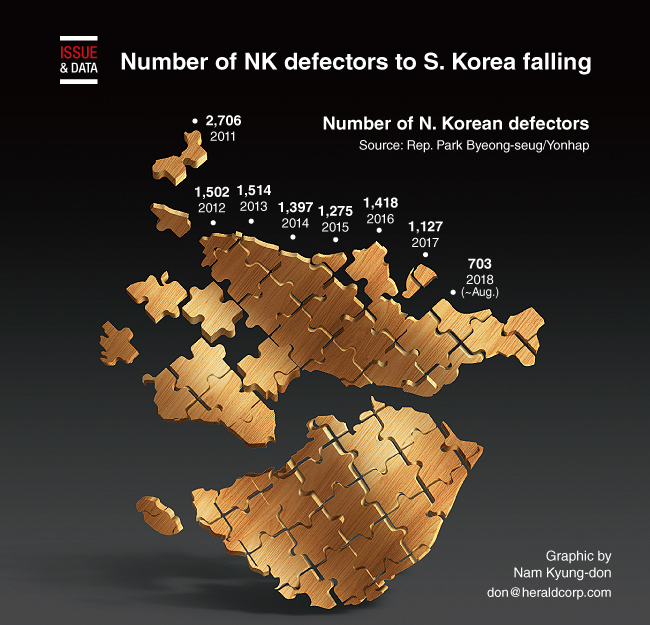 The number of North Koreans defecting to South Korea has fallen under Kim Jong-un's regime, data showed. According to Rep. Park Byeong-seug of the ruling Democratic Party of Korea, citing figures he received from the Ministry of Unification, the figure has been on a steady decline since 2012. Kim took power in late 2011 following the death of his father, Kim Jong-il. Park said, there were 2,706 North Koreans who defected to South Korea in 2011, but only 1,502 in 2012. The number went up slightly to 1,514 in 2013, but fell again to 1,397 in 2014 and 1,275 in 2015.